Doctor's Best Krill naturally contains phospholipids and astaxanthin. 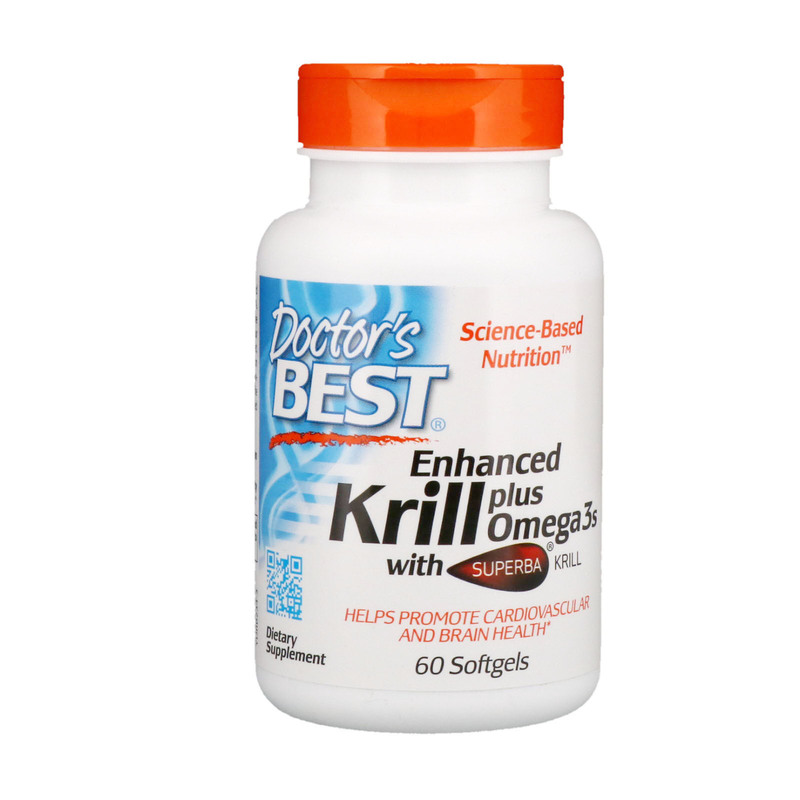 We have also added omega-3 DHA and EPA. The vital lipids are building blocks for cell membrane systems that manage the important life function in all our organs. According to studies, the more omega-3s in the diet, the healthier the heart will be. DHA is the most common fatty acid in the human brain. High DHA and phospholipids help support both heart and brain function. The phospholipids in omega 3 fatty acids are easily blended in stomach fluids and gentle on the stomach. 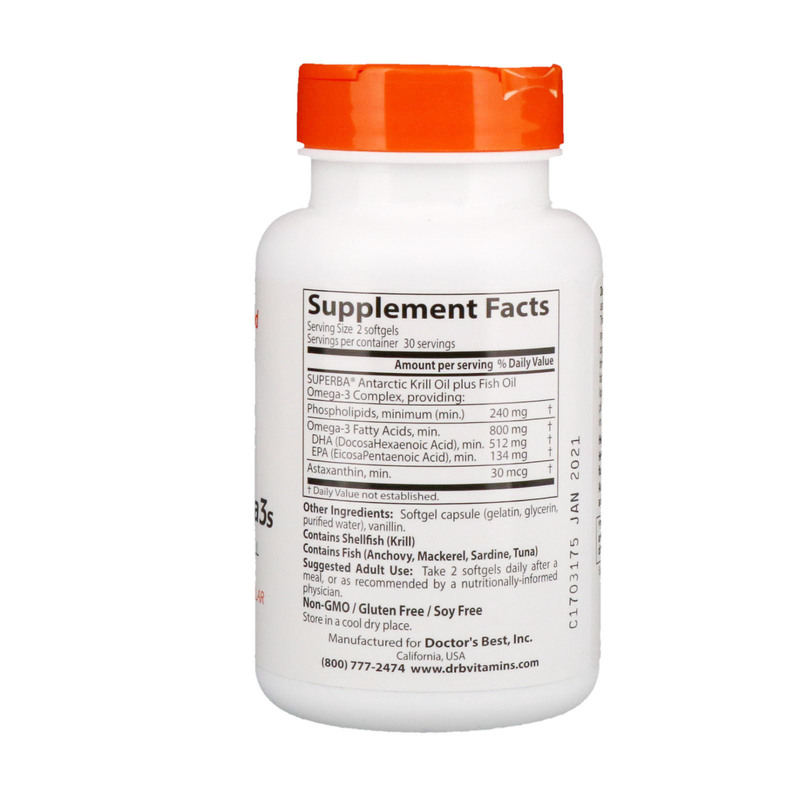 Helps support healthy brain, joint, and other organ functions. According to research, EPA and DHA omega-3 fatty acids may help reduce the risk of coronary disease. Suggested Adult Use: Take 2 softgels daily after a meal, or as recommended by a nutritionally-informed physician. Contains fish (anchovy, mackerel, sardine, tuna).